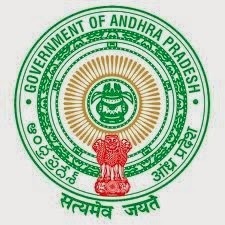 APPSC Jobs Recruitment 2014 For Recruit 2,54,000 Posts through Group-1, GROUP II (Executive Posts) GROUP II (Non-Executive Posts), Group-III, GROUP IV at www.appsc.gov.in: Andhra Pradesh Public Service Commission (APPSC) is going to announce recruitment for 2, 54,000 various vacant post in many state government organizations. Due to the expansion of APPSC services and retirement of the existing employees there many vacant posts are available in many state government administrations, but after the bifurcation of Andhra Pradesh and Telangana Public Service Commission TSPSC state into 2 state announcement of recruitment notification is getting postponing, formally 99,200 posts were recruited among 2, 54, 000 posts but after the division till date notification is not released, even though new government chief minister sri. N. Chandra Babu Naidu given the order to the AP Public Service Commission and APPSC is likely to issue the employment notification for remaining vacant posts. On every year Andhra Pradesh Public Service Commission (APPSC) will recruit huge number of aspirants for different services to the state government administrations. It will conduct recruitment drive to various Technical and Non –Technical posts. So many candidates will eagerly wait for the APPSC recruitment notifications because it will conduct recruit in huge number; it would offer the employment to huge number of candidates at a time. So many aspirants who aspire to get government jobs in state government organizations were seriously prepare for the examinations. Every year number of applicants will appear for these examinations, but very few people will get the jobs. Only way to get APPSC jobs is Applicants must have dedicated planning for the exams to get selected in these posts.